Golden Tours is London's foremost sightseeing company. We have a safe and secure website, are passionate about customer care and have carried over 10 million guests from hundreds of countries around the world. Value for money, informative guides and luxurious travel are guaranteed. Our vast range of products include day trips, our own Hop-on-Hop-off bus service, attraction tickets, theatre tickets, walking tours and airport transfers. 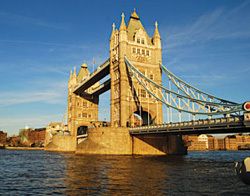 Golden Tours your one-stop-shop for everything you need in London and the UK. Learn more and connect with us by reading our Golden Tours Travel Blog, giving you the lowdown on things to do in and around London, and becoming a fan on Facebook, following us on Twitter, Google+ or Pinterest!